Tanzania's John Magufuli - A New Type Of African Leader? Home Africa Tanzania’s John Magufuli – A New Type Of African Leader? 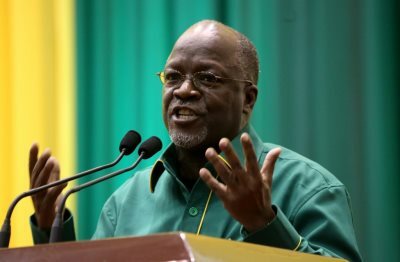 AFRICANGLOBE – John Magufuli, the new President of the republic of Tanzania. What shall we call him? An African hero? Perhaps, but the trouble with the cliché African hero is that it refers, mostly, to a man frozen in collective nostalgia and maybes. An African hero, in the universal mindscape, is an angry man who speaks his mind, denounces imperialists, gets popular and gets killed in the process and before achieving his goals. Thereafter, his followers mourn about how the imperialists sponsored the assassination of their hero and imposed their puppet. That man will usually have been born and educated during the colonial era. Typical African heroes are Thomas Sankara, Patrice Lumumba, Kwame Nkrumah and many like them. These are the men who either got into power though angry denunciation of enemies and or through blazing guns. They spoke their mind and they indeed met death or whatever fate through outside manipulation. The people loved them and still do and to the extent that they have become symbols of quiet African confidence and defiance. For years now, Africans have been complaining about how they have been let down by their leaders who, unlike dead heroes such as Lumumba, seem not to understand what the people want and how to move the continent forward. Even the Ibrahim Mo Award was introduced in the backdrop of a tendency by African leaders to cling on to power or offend and abuse their subjects as soon they have assumed office. But Magufuli seems to have brought a new way of doing things. The new Tanzanian leader was indeed born during the colonial era but he doesn’t seem to be a typical African hero. He has offended many yes but not in the sense that other leaders have: he has made lazy and corrupt people’s lives difficult. Unlike his fellow African leaders, Magufuli hasn’t attacked western imperialism. He, instead, is targeting incompetence and corruption. Perhaps, he understands that when you are an African and you attack imperialism you are essentially attacking kingdoms and royalty and when you do such you are pulverised. You have no chance. The typical African heroes were certainly intelligent and learned they but communicated their messages in a rather offensive way. In the film about the assassination of Lumumba, a former Belgian spy who operated in Congo at the time of Lumumba’s ascendancy refuses to apologise or accept blame for the role he played saying the slain first president of independent Congo “insulted” the Belgian King. It might be that Lumumba never insulted the Belgian king but rather expressed himself in a way that offended the courtiers. Unlike Lumumba and Sankara, Magufuli denounces bad tendencies and unwanted habits and not isms per se. Isms tend to have faces behind them and those faces tend to be powerful untouchables. Mentioning them is risky. Magufuli, rather than denounce individuals, simply acts against what he sees as wrong and there is no evidence that he has got a Godfather. He is simply his own man. By taking that path- a slight but carefully thought through drift from the common way of expressing oneself, Magufuli has become the most spoken about African. Now, listen to the silence of the Western leaders and the African politicians! Both camps are confused. Magufuli is not one whom an opportunist (according to Malema) can call a sell-out and neither is he one whom the likes of Henry Kissinger can call an agent of post-colonial resentment. Instead, he is a man with a vision. The essence of that vision is that as Africans we can’t celebrate our birthdays in stables and neither can we make merry when we haven’t bought medicine for our sick ones. What is there to celebrate? If there is can’t we celebrate through serving others instead of through dance and feasting? But perhaps the most important thing that Magufuli has proved is that you can be a hero without insulting anyone. You can be exemplary without seeking to fix anyone. You can change the situation just by demanding that the correct thing be done. Magufuli has shown that leaders are not supposed to be heard shouting and swearing. There is no need to wave fists. Even Jacob Zuma, who is probably the most ridiculed president in the world, understands that a leader must not insult anybody. Rather, he must be diplomatic. In diplomacy, one can express displeasure with particular individuals not by insulting them but by stating what is wrong. For example, it maybe that Magufuli resents neo-colonialism but instead of denouncing anyone he is cleverly destroying its comfort zones: the culture of dependency and corruption. Unlike Onyango-Obbo, I choose to call Magufuli a new African. To those that seek to reverse corruption and promote exemplary leadership in Africa I say here is Dr. Magufuli! Let’s embrace him before he becomes a typical African hero! Let’s not allow him to become corrupt and big headed. Let’s not allow him to see Kalangas instead of fellow citizens. So far so good; viva Magufuli.